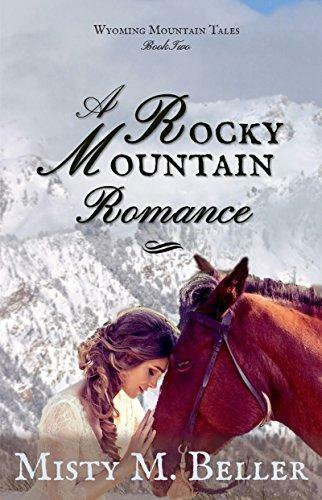 The Wyoming mountain country seems like the perfect place for Zeche Reid to find himself. When a blizzard sends him scrambling for cover, he stumbles upon a lady and her professor father holed up in a remote cabin. His protective instincts won't let him desert them to continue his travels, especially when the father’s haunting memories from the War of Secession put his daughter’s safety at risk. Fighting her own nightmares after the war, Gretta Michelly is trying to settle into this rugged mountain land, but her bad memories are nothing compared to the demons that haunt her father. The haven they’ve found in these Rocky Mountains seems to be the solace he needs to find peace—until a mysterious sojourner appears on their cabin doorstep. She can’t help but be drawn to the wild aura that surrounds the man, but that strength seems to be that very thing that intensifies her father’s struggles. As Zeche is torn between his craving to protect Gretta and the awful realization that he’s the one putting her in more danger, he’s forced to make a difficult choice. But when a run-in with an elk changes his plans and Gretta is faced with a danger Zeche is powerless to control, Zeche has to find a way to protect her at any cost. Even at the cost of his heart.